Home > Questions-Answers > Is Migraine a Vascular Headache? Is Migraine a Vascular Headache? For many years, people have tried to understand where the pain of a migraine headache comes from, and what causes it. Over time, our understanding of migraine and what causes migraine attacks has improved, although there are still many things about migraine that are unknown. In the past, it was thought that migraine resulted mainly from a problem with the blood vessels in the head. We now know that this is not the case. The blood vessels in patients with migraine are largely normal, although some minor abnormalities have been described. However, this theory was partly correct in that the pain of a migraine attack does seem to come in large part from the “intracranial” blood vessels. This pain is not caused, however, by abnormalities in these blood vessels. This theory indicates that although the pain of a migraine attack comes mainly from the blood vessels, the actual cause of the attack is in the nervous system, that is, in the brain itself. Changes in the brain can trigger the pain sensitive nerve endings in the small blood vessels that lie on the brain surface and in the membranes that cover the brain. This is best understood in patients with migraine with aura. The neurological symptoms (vision changes, etc.) of the migraine aura are produced by a wave of abnormal nerve cell activation that spreads across the surface of the cerebral cortex of the brain. This activation of nerve cells is so strong, that it releases many molecules from the nerve cells in abnormally large amounts (hydrogen ions, potassium ions, etc.). These molecules can diffuse to the nearby blood vessels and activate pain nerve endings on these blood vessels. The activation of these nerve endings causes the pain of the migraine headache, which usually but not always follows the migraine aura. In migraine attacks without aura, something similar may happen, but we don’t fully understand how the pain nerves on the blood vessels are activated in these attacks. Changes in the brain seem to start the migraine attack, and these activate the pain nerve endings inside the head. The pain nerves then send nerve impulses back to the brain and the pain of the migraine headache is experienced. The nervous system is the main player, but the vascular part now refers to the fact that the pain nerve endings which are involved in the pain of the migraine attack are in the walls of the blood vessels in the head. In reality, things are probably even more complicated. There may be several different types of migraine, and the pain may be produced slightly differently in different types of migraine. For example, there are pathways in the brain which normally stop or inhibit painful nerve signals to some extent when these are brought to the brain by the pain nerves. In migraine, some of these inhibitory systems which “put the brakes” on pain signals coming into the brain may not be working as effectively as they usually do. 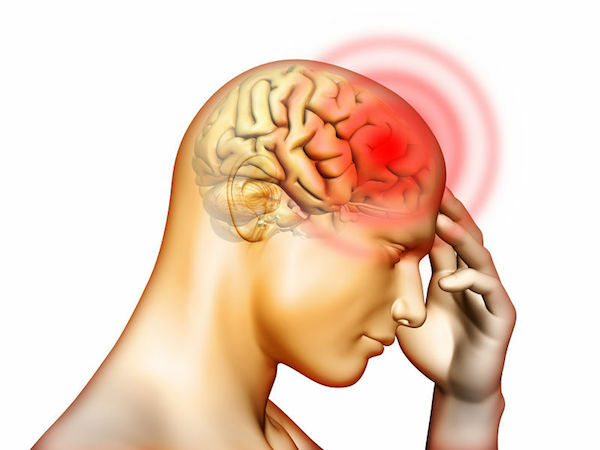 There may be many factors which can contribute to the occurrence of migraine attacks in people with migraine, and most of these likely involve changes in the brain so that the brain does not handle pain signals in quite the same way as the brain of a person who does not have migraine. Future research will no doubt give us more answers about just what happens during a migraine attack.